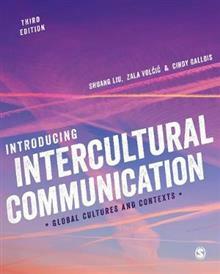 Taking a truly global perspective, this textbook presents concepts, theories and applications from the field of intercultural communication in a lively and easy-to-follow style. The third edition features new international case studies to tie theory to real-world practices, inclu... read full description below. Taking a truly global perspective, this textbook presents concepts, theories and applications from the field of intercultural communication in a lively and easy-to-follow style. Covering all the essential topics, from immigration to intercultural conflict to the impact of mass media and technology, this cutting edge new edition features: A student-friendly structure with enhanced signposting to guide students through the book Expanded coverage of ethics, digital communication and social media A brand new set of international case studies to tie theory to real-world practices, including the European refugee crisis, Chinese food culture and Barbie dolls and beauty A suite of student-friendly learning features, including `Do it!' activity boxes, chapter summaries and summaries and applications of key theories in `Theory Corner' Fully updated further reading sections including links to SAGE Video A host of online resources to reinforce learning, including multiple choice quizzes, discussion questions and exercises Introducing Intercultural Communication is the ideal guide for students seeking to become critical consumers of information and effective global citizens. It should be required reading for students in media and communications, business and management, linguistics and beyond.